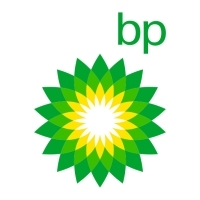 Welcome to BP Indonesia! Here in Indonesia, our operations include exploration and production as well as refining and marketing activities in several locations across the country. Headquartered in Jakarta, we are mostly involved in the liquefied natural gas (LNG) sector in Indonesia with the development and operatorship of Tangguh LNG, the country’s third major LNG hub located in Papua Barat. Through our joint venture with ENI in VICO Indonesia, which operates the Sanga-Sanga PSC in East Kalimantan, we also deliver gas to one of the largest LNG plants in the world, Bontang. At the downstream, we are focusing on lubricants under the Castrol brand and the production of PTA (Purified Terephtalic Acid), a key raw material for the manufacturing of polyester fiber, through a joint venture with Mitsui operating as PT Amoco-Mitsui Indonesia (AMI). Our workforce of nearly 700 people is 22% female and they hold various roles across our business. We are looking for the brightest and the best to help us run our businesses, and we welcome appropriately qualified applicants regardless of age, gender, disability, race, religious beliefs or sexual orientation. We want to attract the most talented and energetic nationals, provide them with training and support to grow and develop in their own unique way. At BP, professionals and non graduates are people who join our organization with three or more years of relevant work experience. BP has operated for over 35 years in lndonesia, a country home to over 210 million people. Today, we are one of its largest foreign investors with cumulative capital investment to date of over US$ 5 billion. Our upstream business is looking for talented people who share our commitment to responsible energy and who are ready to make a difference. Minimum a Bachelor Degree or relevant professional qualifications on Information Technology. Good interpersonal & Analytical skills. Heavy coordination with cross-functional departments such as Integrated Supply Chain to ensure proper delivery of products. Strong communication skills across broad network of contacts. Leading people : Gives specific coaching, direction to others as to how to complete discrete, well – defined tasks and monitors performance. Application submission is through our career website. Select Professional and non-graduates > View jobs in lndonesia to search for suitable positions. Select the position to view more details. Register to submit your application.